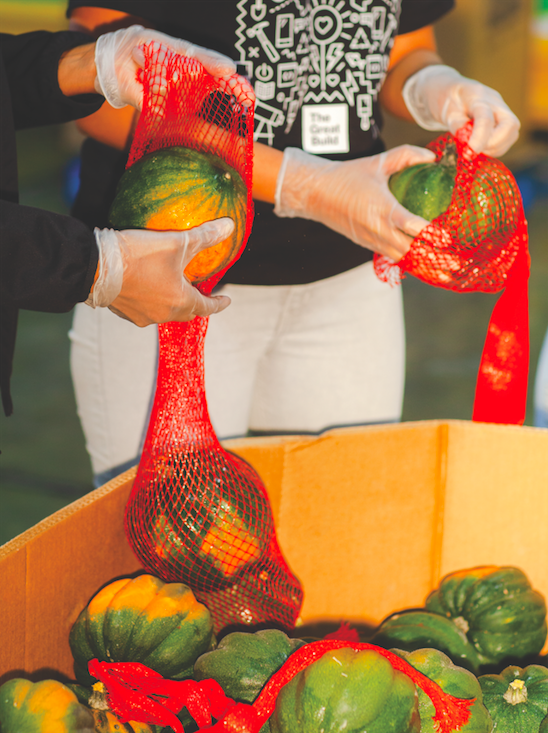 The online magazine MOLD reports on the latest advancements in the effort to end hunger in America. 1 in 8 people in the US do not have enough to eat. 1 in 8. Feeding America, the United States’ largest hunger-relief organization, has been leading the charge to rescue food and get it to families who need it, for over 38 years. In 2019 they partnered with The Rockefeller Foundation, to explore ways to increase peoples’ access to fresh, nourishing produce by innovating their charitable food distribution models. Two concepts for making fresh produce more accessible in both food pantries and at home were tested. With the concept, "Side Car" pantries order the quantity and kind of produce their patrons request and have it delivered just in time for their scheduled food distribution. This is an innovation of network structure, product and customer experience. The other concept, "Now & Later", mobilizes local chefs to prepare family-style meals at program sites using only fruits and vegetables from the local produce cooperatives. Families are invited to enjoy a delicious meal made in a welcoming and hospitable environment. The families were given the recipes, prep tips, and ingredients needed to cook the same meal at home. This is a social experience in a hospitable and inclusive environment, and they provide an opportunity for people to understand how to prepare these nourishing meals for themselves and their family. Feeding America is going even further in making sure that people have access to nutritious, high-quality food that is nourishing to both the body and soul.